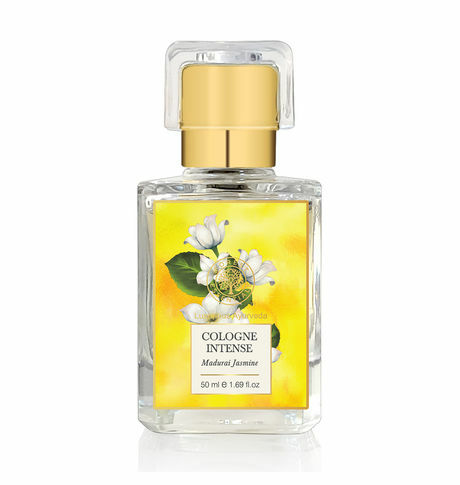 This delicate, classic and unmistakable fragrance of the most coveted fresh Jasmine flowers, is from Madurai in South India. A Perennial plant with delicate snow white flowers, jasmine was called "moonlight of the fragrant groves" in ancient Hindu poetry. Flowers are harvested at drawn, when they are still covered with dew and their fragrance is at its peak. The flowers are gently handpicked one by one, without bruising the flowers, traditionally by young girls. Our specially distilled fragrance uses this intense strain of the Jasmine flower. Exquisitely simple scented cologne, rich with precious essential oils to create your own signature fragrance from Forest Essentials.